Classic, Vintage Cars for Weddings, Special Occasions, Events, Film, and TV. We own all 9 Cars Available. Established for 40 Years. Ring to arrange to view our Bridal Cars. Wedding Car Hire West Sussex. I arrived back in Japan yesterday and wanted to drop you a quick note to thank you for everything that you and your colleagues did to help make our recent family wedding celebrations such a memorable day. Thank you for an exemplary service on Saturday. You did absolutely everything that you promised and made our life so very much easier!! Your guys were also so helpful and considerate again easing the pre-wedding nerves ! We will be sure to be recommending you to everyone we can. Very best wishes. Peter and Elizabeth. Thank you for providing the two beautiful Bentleys for our daughters wedding. The cars and the service provided by your drivers were first class and added to the most splendid occasion. We could not believe how lucky we were with the fantastic weather which was really the icing on the cake. I thank you once again and I would have no hesitation in recommending your cars and excellent service. You are very welcome to come and view our Bridal Cars. Please ring or email us to arrange a private appointment. Now that we are back from honeymoon I thought I would drop you a quick line to say thank you so much for the service you provided us on our wedding day - you really did make Becca's day by taking us in the Phantom! Everything was perfect and we will most definitely be recommending you to everyone that we can. Thank you again for helping to make Rob & Naomi's wedding day such a resounding success. The service was excellent and your calm, professional manner was first rate. Thank you for all your advice in the planning stage and for your patience and good humour on the day. 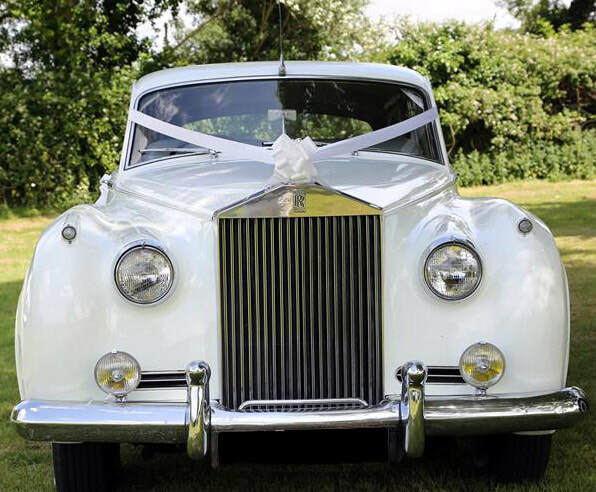 We would highly recommend West Sussex Classic Wedding Cars to anyone looking for wedding transport. 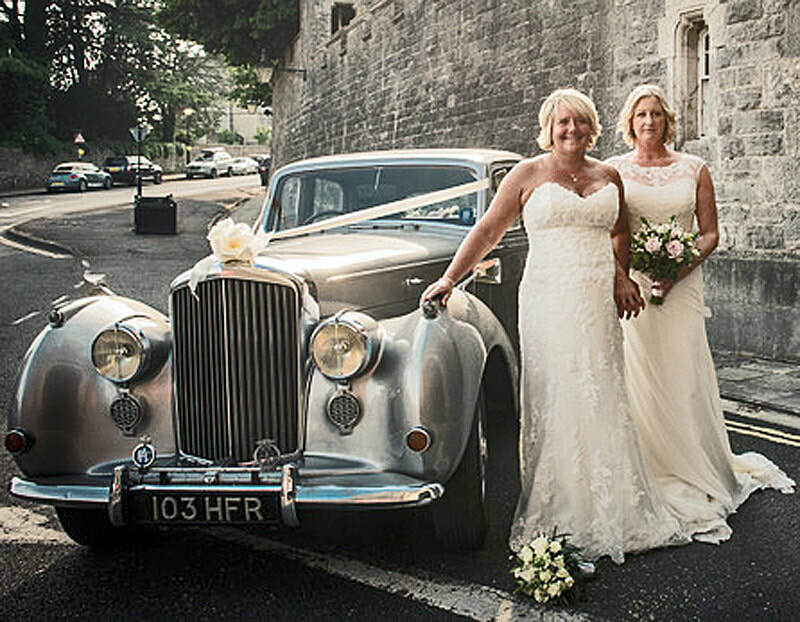 Best wishes, Lyn & Steve"
We have been providing luxury and vintage wedding cars in Sussex and surrounding areas for many years. We always give the highest standard of drivers and service. 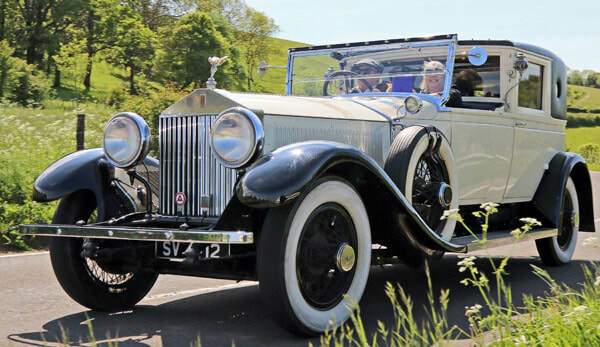 Hire a Beautiful, Classic, Vintage car for your Wedding Car. Or an Event, Special Occasion, Film, TV or Executive Travel. We take pride in the quality of our cars, our friendly service, and our attention to detail. Choose your Ribbon Colours and tell us your Special Wishes. We love to fulfil Unique Requests. We always have fudge and water in our cars ... you are welcome to supply Champagne or Prosecco for our Vintage Champagne Travel Carriers / Coolers ... or we can if asked. Wedding Car Hire West Sussex. Vintage Wedding Cars. 1954 Bentley R-Type by Arundel Castle Gate. Bognor Regis, Selsey, Witterings, Midhurst, Petersfield, Pulborough, Petworth, Hove and Worthing. Please ring or email us to arrange a private appointment to view the cars. 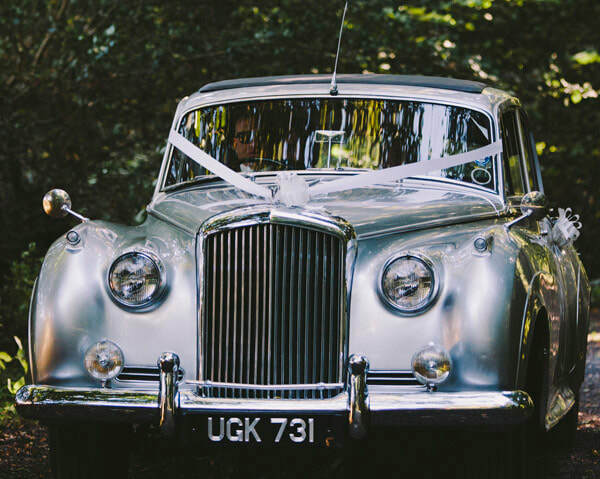 Old and Classic Vintage Wedding Cars For Hire in Sussex. Nine Bridal Cars to view. We Chauffeur Drive for Weddings, Events, Special Occasions, Film and TV in Arundel, Horsham, Littlehampton, Bognor Regis, Selsey, Witterings, Midhurst, Petersfield, Portsmouth, Pulborough, Petworth, Hove, Brighton, Chichester, Hayling Island, and Worthing. Wedding Car Hire West Sussex. Film and Photographs Copyright Scott Younger 2018.